From Indiana to Wisconsin, over to North Carolina and then to Germany. 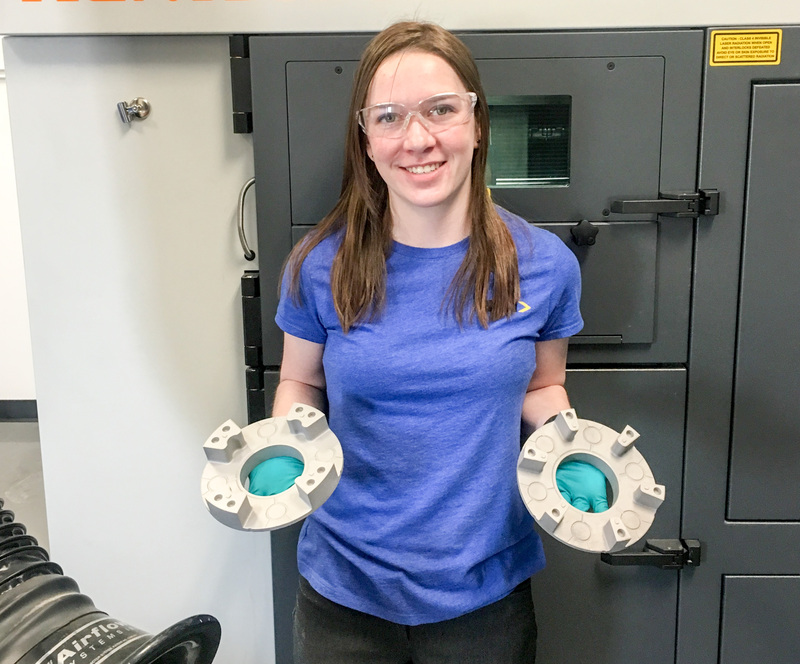 Today we talked to one of our traveling engineers who is currently a part of the Additive Manufacturing (AM) team in Radevormwald, Germany, and works for GKN Powder Metallurgy in the advancements of AM and Aluminum technology. 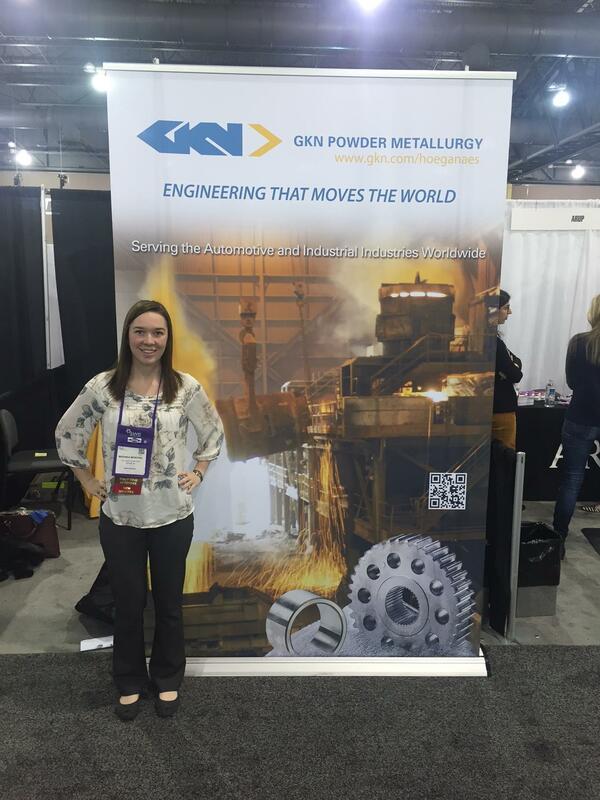 Miranda Moschel is a young and ambitious engineer who is a part of our Graduate Rotational Excellence Program (GREP). In the program, recent college graduates will travel to four GKN locations over two years to participate in various job roles across the company. 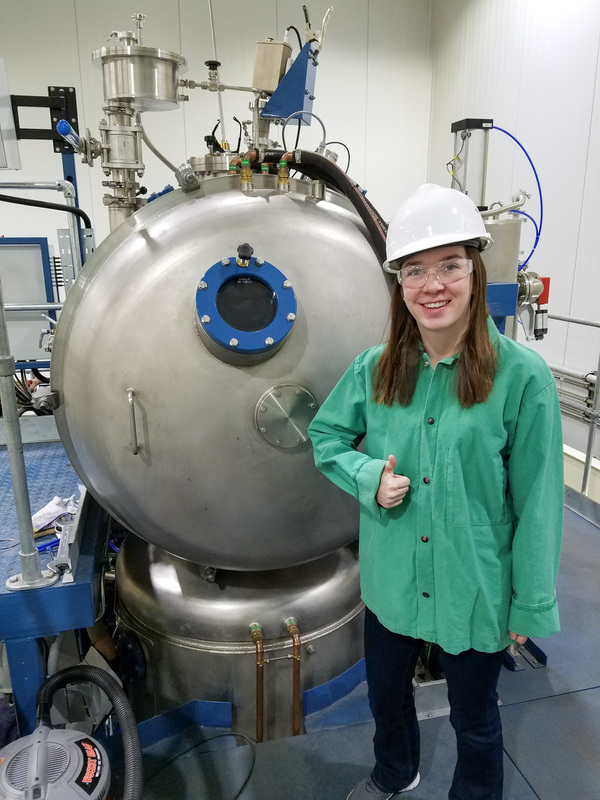 If you talk with Miranda, you’ll notice how comfortable she feels being an engineer. In fact, she is nothing short of ‘in love’ with engineering. But why did she enter that field? And what are her current projects in GKN? What inspired you to choose the engineering field? This is a funny story, because it was a teacher of mine in high school who encouraged me. I wasn’t sure what I wanted to study when I got to college. I had this teacher for both my chemistry and physics classes and one day after I received a good grade on a project, she pulled me aside and said: “Miranda, I think you should consider becoming and engineer.” So, I went and became an engineer (laughing). What advice would you give to women who are just starting out in the 3D Printing or Engineering industries? My advice is to be the best engineer you can be and focus on the skills you can offer. 3D printing is a newer field so it is much more open to new ideas than more traditional engineering. I think it is easier to become recognized when you have good ideas, so don’t be shy to share them. Can you tell us something about your team at work? Can you describe the work ethic of your team? I can say that I am very lucky to be a part of this AM team. There is casual communication in the team, but what’s even more important is that it’s easy to talk to an engineer about an idea or something that you’re interested in, or to even see what they are working on. Everyone is always excited to have students, trainees and GREP employees in the office, and they are really helpful to those who are new to AM. I think workwise it’s unique to be involved in both the PM and the AM side of technology. There is a lot of people who have a very detailed view of one of the technologies, so I’ve found a cool spot in helping bring the two technologies together. This is also something I would like to continue working on in the future. With the GREP program, it has been great that I get to choose projects I’m interested in. It’s really helpful to find out what kind of an engineer I want to become. And now that I’ve had the chance to do that I can say that I’m going to be in a job that I am really excited for. And what will that job be? I will be a Product Engineer for Aluminum in our North Carolina facility. This role is a combination of both product development and preparing for production; so I get to do some hands-on work, I get to work with the customer, I get to see new applications and I get to see products in production. I will take a product from an idea to an actual production part, and I think that’s really cool. Give us some insights into your current projects. My main project for the last six months has been working on Hybrid Manufacturing. It is combining AM with traditional powder metal. Our goal is to apply this to a gear application. The idea is that we will 3D print a unique AM lattice and then press the powder metal part around the lattice to form the gear. By doing that, we will get to utilize the unique geometries of AM while cutting down the print time from AM since part of the product is going to be powder, meaning we’ll be able to produce parts a bit faster. The benefit for the customer will be a lightweight part with noise vibration and harshness(NVH) reduction, as NVH is a big topic for cars today. If you consider NVH reduction as a current automotive trend, what other trends do you expect in the near future? Aluminum, compared to iron components, is gaining popularity because there is a push within the automotive sector for lighter weight vehicles. This is also due to Electrification, where electric vehicles need to be lighter and quieter so that the battery will last longer. This trend also plays into AM because if you optimize geometry with AM, you can also lightweight your components. Has there been an experience in your career that made you proud? There was a project where we wanted to sinter braze AM parts into PM parts. Because the team in North America was small, I was the one that developed this. Of course, I deferred to the experts of sinter brazing as this wasn’t something I knew about, but I did all the work and the testing. In the end I was really proud when I saw my work applied to an actual part and it ran effectively.